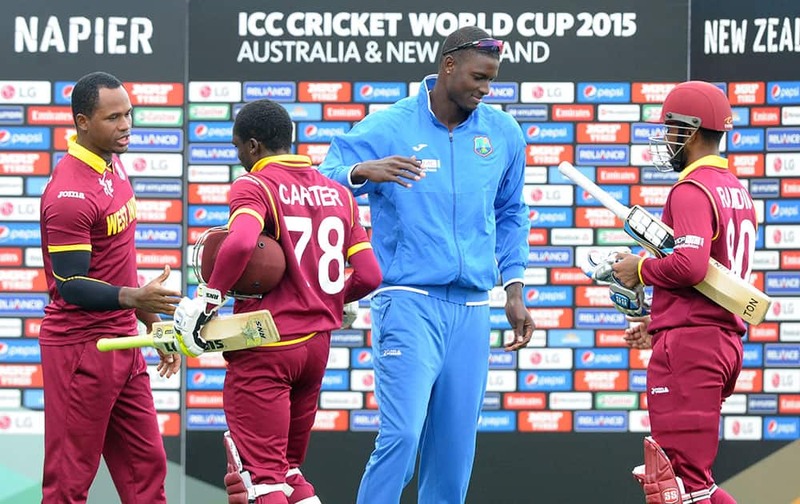 West Indies batsmen Denesh Ramdin, right, is congratulated by his captain Jason Holder as Jonathan Carter is congratulated by Dwayne Smith, left, after they won their Cricket World Cup Pool B match by six wickets against the United Arab Emirates in Napier, New Zealand. 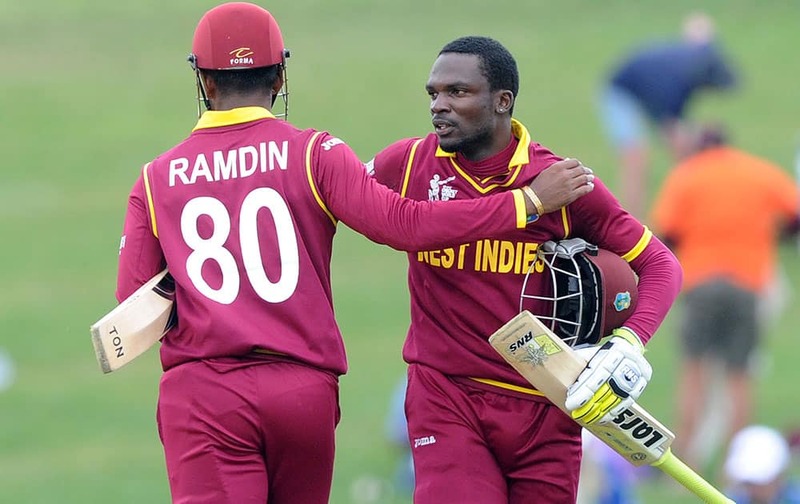 West Indies batsman Denesh Ramdin, left, celebrates with teammate Jonathan Carter after they won their Cricket World Cup Pool B match by six wickets against the United Arab Emirates in Napier, New Zealand. 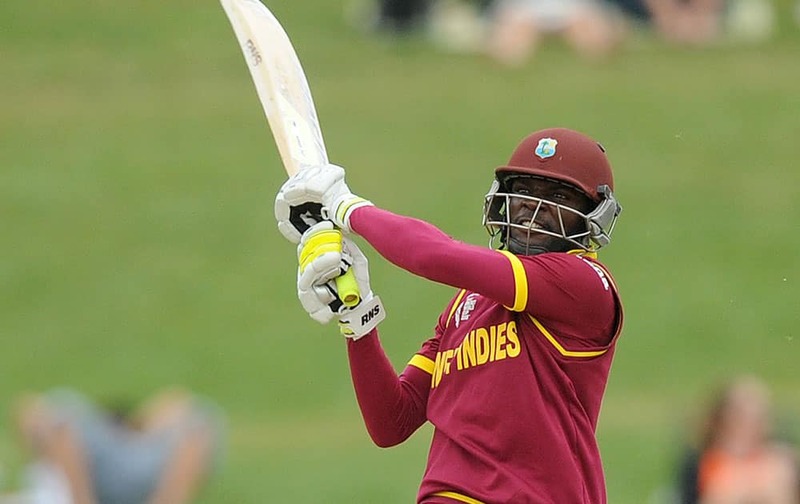 West Indies batsman Jonathan Carter hits the ball while batting against the United Arab Emirates during their Cricket World Cup Pool B match in Napier, New Zealand. United Arab Emirates Krishna Karate takes a catch to dismiss West Indies batsman Johnson Charles during their Cricket World Cup Pool B match in Napier, New Zealand. 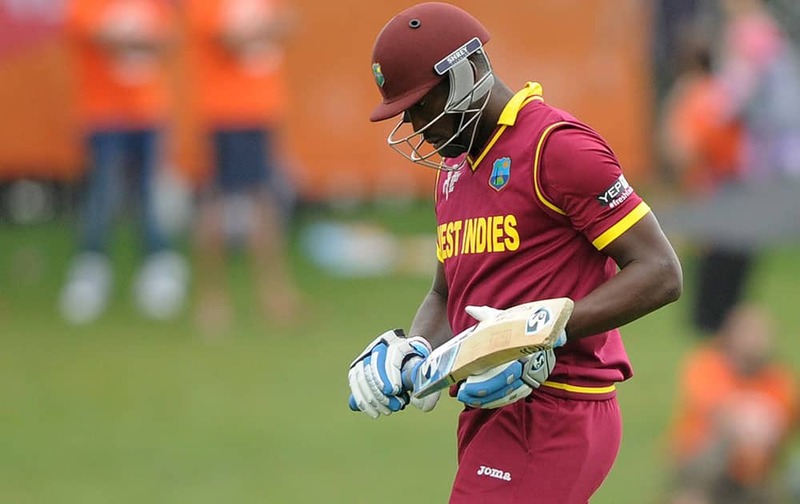 West Indies batsman Andre Russell walks from the field after he was dismissed seven runs during their Cricket World Cup Pool B match in Napier, New Zealand. United Arab Emirates bowler Amjad Javed, right, is congratulated by his teammate Andri Raffaelo after taking the wicket of West Indies batsman Andre Russell during their Cricket World Cup Pool B match in Napier, New Zealand. United Arab Emirates bowler Amjad Javed, left, celebrates with teammates K. Karate and Shaiman Anwar, right, after taking the wicket of West Indies batsman Johnson Charles during their Cricket World Cup Pool B match in Napier, New Zealand. 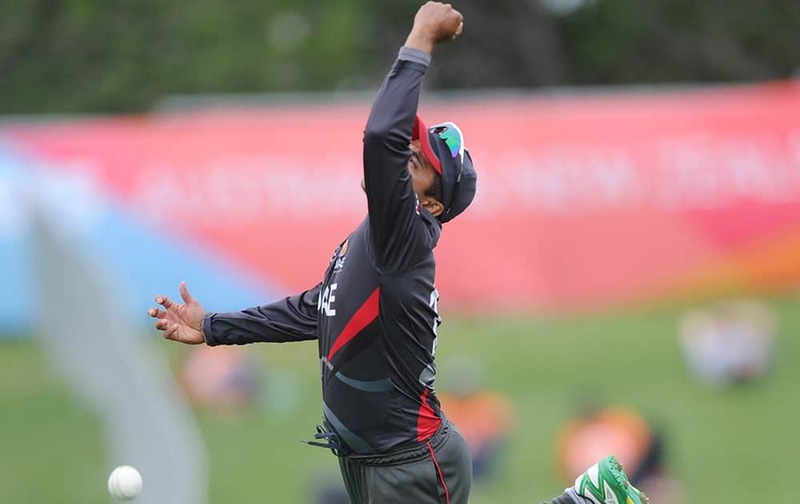 United Arab Emirates Khurram Khan attempts to take a catch during their Cricket World Cup Pool B match against the West Indies in Napier, New Zealand. 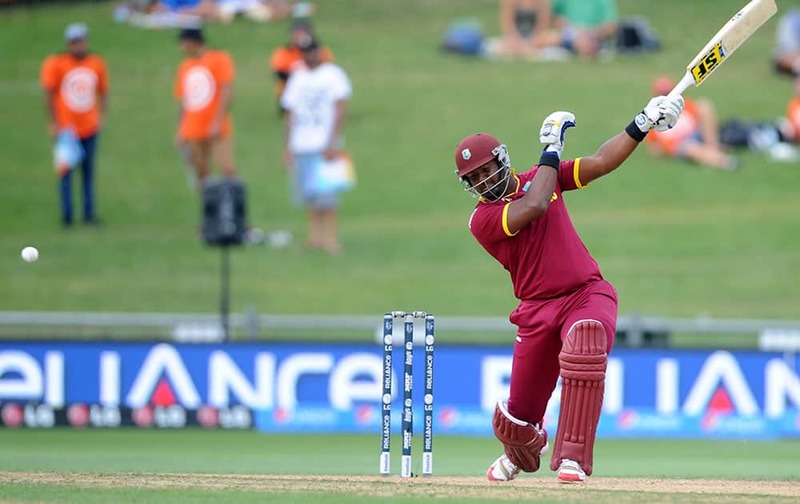 West Indies batsman Dwayne Smith swings at the ball while batting against the United Arab Emirates during their Cricket World Cup Pool B match in Napier, New Zealand. 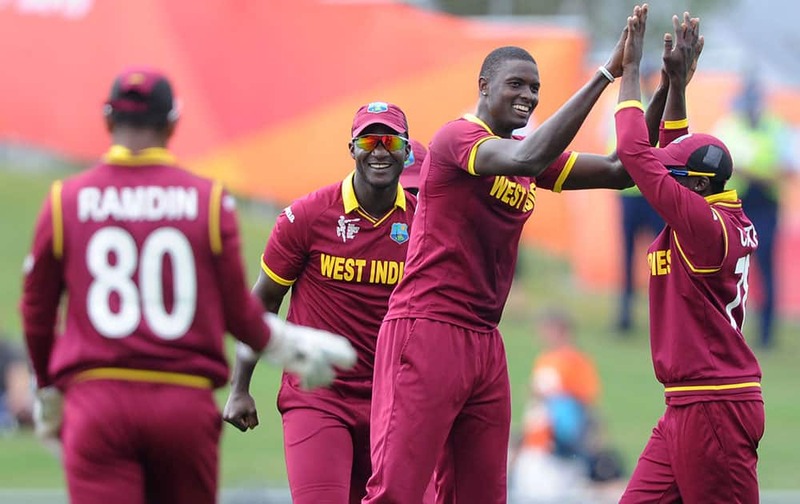 West Indies bowler Jason Holder, second left, is congratulated by teammates after bowling United Arab Emirates batsman Swapnil Patil during their Cricket World Cup Pool B match in Napier, New Zealand. 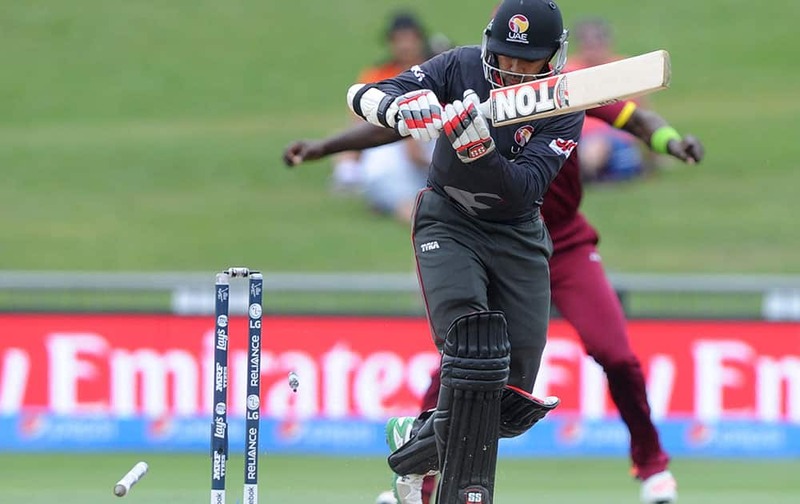 United Arab Emirates Shaiman Anwar is out bowled for two runs by West Indies Jerome Taylor during their Cricket World Cup Pool B match in Napier, New Zealand. 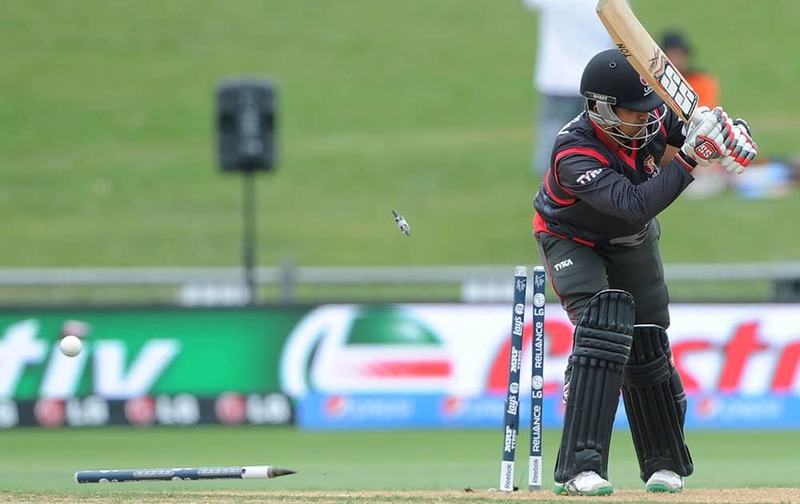 United Arab Emirates Khurram Khan is bowled by West Indies Jerome Taylor for five runs during their Cricket World Cup Pool B match in Napier, New Zealand. 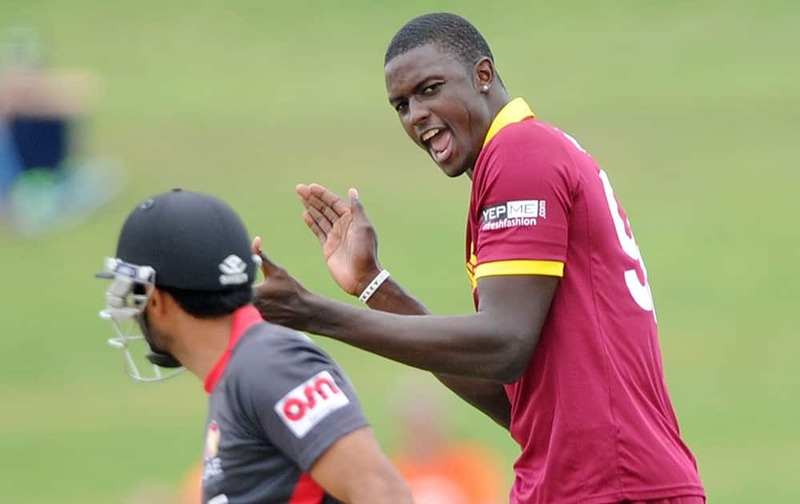 West Indies bowler Jason Holder, right, appeals successfully for the dismissal of United Arab Emirates batsman Amjad Ali during their Cricket World Cup Pool B match in Napier, New Zealand.